A clock is an instrument used to indicate, measure, keep, and co-ordinate time. The word clock is derived ultimately (via Dutch, Northern French, and Medieval Latin) from the Celtic words lagan and coca meaning "bell". For horologists and other specialists the term clock continues to mean exclusively a device with a striking mechanism for announcing intervals of time acoustically, by ringing a bell, a set of chimes, or a gong. I have personally heard tales in my life and witnessed the horror of broken haunted or cursed clocks that only strike the hour when a person in a family dies. I as many have also known those that haunted by the hour of 3:AM and have seen how their lives have been effected by the demonic and evil forces that haunt this God forsaken hour. And as you who reads this searches for the answers to why you are truly chosen to be haunted by this particular hour of the day I bid you a ray of hope. At exactly 3:00 am I woke up from a grisly nightmare. The dream was filled with human intestines and animal freshly killed guts. And the very real horrors and feeling over my body, like I was really stuck inside a vast plain of human entrails. I could smell the stench and the whole time a feeling of falling a great distance. A violent supernatural wind rushed around me and my thoughts were that I was dead or dying, and the entire time being sucked into the depths of hell! My heart was pounding like a bass drum. And I felt as if it was going to burst out of my chest. I prayed openly and verbally let this end or let me die now so not to witness anymore of this great horror that I beheld and experienced. And then I awoke with the audible sound of my voice saying ~ Amen. Very frightened sweating so that my entire body and bed was soaking wet. And in the darkness I shivered clenching the covers shaken to my very core. I looked at the clock and it read 3:AM. The following night, I awoke again to the exact same very real haunted scenario. The same frightening nightmare, and at exactly at the same exact time 3:00 AM heart pounding, I knew then something was very wrong and I felt that death was watching me waiting to take me. On the 3rd night, I went through the whole thing again. Nightmare, opened my eyes looked at the clock's red numbers flashing on my cable TV box... 3:00 am. But this time I awoke and in my twisted fear I felt as if I was dead and that my waking life was the nightmare. Months and years have gone by but the fear has never left me. I no longer have the frightening nightmare but I awaken at the exact time of 3:AM. Many of us have experienced this or something very similar. I have been told that some awaken at 1:11 AM others at 2:22 AM the importance of these specific times are important but the reason why eludes many. today some researchers that I work with in the field of paranormal research have related, that all this is something otherworldly that effects the living in every culture around the world.. Many I have spoken to over the years who have been plagued by the 3:AM phenomena fear it as a hand full of individuals embrace it as a sign that their is an afterlife. The truth is that this phenomena is not delegated just to the hour of #:Am. say say it happens at 4 or 5:am and others will tell you 12 midnight. But when it happens to you consider that it might just be a personal self awarenees journey or spiritual awakening. The Hours Of The Dead! It's 3:AM and the and evil forces are set loose on the living to exact their due. Some call it the time of the dead and others relate it to when the legions of hell are set loose to bring evil and heartache on the living. In European folklore, the witching hour is the time when supernatural creatures such as witches, demons and ghosts are thought to be at their most powerful, and black magic at its most effective. This hour is typically midnight, and the term may now be used to refer to midnight, or any late hour, even without having the associated superstitious beliefs. The term "witching hour" can also refer to the period from midnight to 3am, while "devils hour" refers to the time around 3am. The Significance of 3:AM or the demon hour is often associated with the evil dead and those forces that wish to disrupt our lives and mental security. Many find themselves waking up mysteriously at the is time. some will tell you it is always in the hour between 3:am and 4:am that this occurs to them. they awaken unnerved and often unsettled because the fear of what is to come plagues them for it seems to happen repeatedly over the course of a few days months or years. Midnight is, literally, "the middle of the night". In most systems it is when one day ends and the next begins: when the date changes. Originally midnight was halfway between sunset and dawn, varying according to the seasons. Solar midnight is that time opposite of solar noon, when the sun is closest to nadir and the night is equidistant from dusk and dawn. Due to the advent of time zones, which make time identical across a range of meridians, and daylight saving time, it rarely coincides with midnight on a clock. Solar midnight is dependent on longitude, latitude, altitude, and time of the year rather than on a time zone. The word "noon" is derived from Latin nona hora, the ninth hour of the day. The Roman and Western European medieval monastic day began at 6:00 am (0600) by modern timekeeping, so the ninth hour starts at what is now 2:00 pm (1400). In English, the meaning of the word shifted to midday by the fourteenth century. It is related to the meaning of the liturgical term "none". Noon (also mid-day or noon time) is the hour of 12:00 in an observer's local time zone, or more loosely, a time near the middle of the day when workers in many countries take a meal break. The scientific term solar noon describes the moment when the sun crosses the meridian in apparent solar time, the time during a day with the highest sun elevation, which depends on longitude, latitude and date . The opposite of noon is midnight. In the northern hemisphere, "noon" had an ancient geographic association with "south" (as did midnight with "north"). Remnants of the "noon" association are preserved in the words for "noon" in French ("midi") and Italian ("mezzogiorno"), both of which also refer to the southern parts of the respective countries. Modern Polish goes a step farther, with the words for noon ("południe" -- literally "mid-day") also meaning "south" and the word for "midnight" ("północ" -- literally "mid-night") also meaning "north". The Hour glass is mentioned in the Third degree lecture of the Masons, where it is explained that it is an emblem of human life. It symbolizes the eternal passage of time, the sand slipping away until there is no more, and therefore a continual reminder that life is finite, and that therefore we should make the most of it while we can. However, the hour glass is also used in other ways. With its two containers, the hour glass is an analogy between the upper and the lower, and the need to turn the hour glass from top to bottom at times to continue the process symbolizes the continual cycle between life and death, heaven and earth. However, if no action is taken, the sand can only flow one way. This symbolizes our need to reverse, at times, our attitudes and actions for continuity, or we shall always be drawn to one side - the base. This symbolism is also seen in the Temperance card of the Tarot. One part of the hour glass is always full, the other empty and this cycle of emptiness and fullness follow each other - just like in life, where joy and sadness for example often follow each other in cycles. It is also interesting to note that the ascetics St. Ambrose (Patron saint of learning) and St. Magdalene (the first to see Jesus after the resurrection) are each depicted with an hour glass. In European lodges, the chamber of reflection where the candidate is placed prior to initiation, has an hour glass for the candidate to reflect on. Deel is a Demonologist, Spiritual Warfare Counselor, and Catholic faith adviser, as he has over 28 years of research / experience on the topics, with his first experience occurring when he was about seven years old. He is near completion of his book: ”The realm of the Demonic”: A comprehensive guide to the Demonic haunt”, which should be in print by 2009. And will begin a producing an educational documentary as a companion to his book, after the book is completed. This is the first EVER Best of Chris Cagle compilation in the market place! 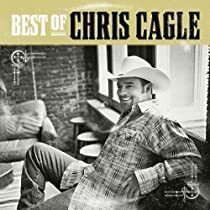 Features Chris Cagle's 5 top ten hit singles, plus many more of his country classics including: I Breathe In, I Breathe Out, What Kinda Gone,and What A Beautiful Day!